The National Park Service is moving closer to welcoming a new Director. The Senate Energy and Natural Resources Committee held a hearing today to consider the nomination of David Vela to be the Director of the National Park Service (NPS). During the hearing, Mr. Vela discussed a wide range of topics, including: the growing maintenance backlog, fees, the Land and Water Conservation Fund and more. If confirmed, he will be the first Hispanic American to head NPS. The hearing can be viewed on the Committee’s website. At the conclusion of the hearing, Committee Chairman Sen. Lisa Murkowski (R-AK) expressed hope that the full Senate will approve the nomination by the close of the lame duck session in early December. Mr. Vela’s nomination is supported by numerous organizations, including the Outdoor Recreation Roundtable (ORR). 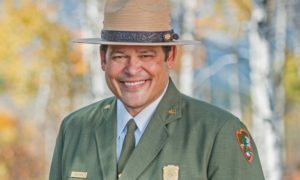 “We believe that David Vela can be an effective leader of the National Park Service early in its Second Century,” said ORR in a letter to Committee Chairman Murkowski (R-AK) and Ranking Member Sen. Maria Cantwell (D-WA). “He has familiarity with both the opportunities and challenges of urban and rural park units and as the first-ever Hispanic-American nominated to serve as Director, an understanding of the need for and challenges of diversity in staff and visitation. He understands the importance of national parks to sustainable local economies and protection of key park attributes.” Read ORR’s full letter here.